Our training session, in our facility in Lyon, is a one day and a half course that gives you a tour of our Reconstructed models and covers the best ways to use them in your applications. You will have the opportunity to realize by yourself skin and eye irritation tests onto unknown products. The course is taught by high experienced scientists from EPISKIN and includes lectures (inspired by OECD guidelines (TG431, TG439), SOPs) and hands-on exercises that provide real-world experience. Each session welcomes a maximum of 4 trainees to favour the one-to-one interactions. 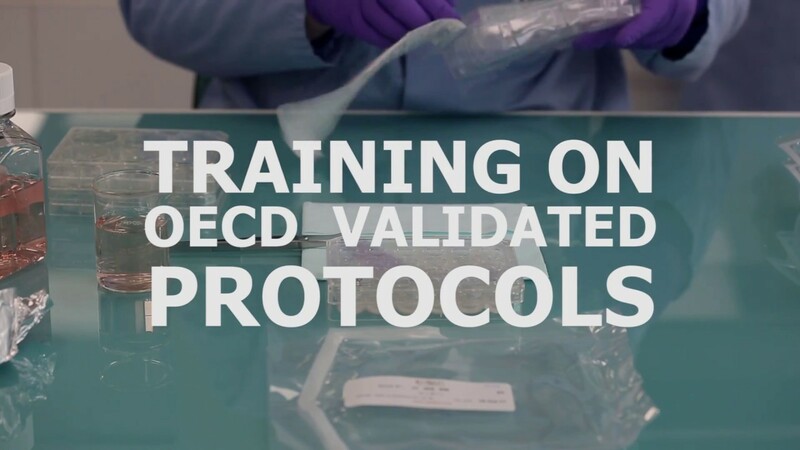 Any new user to be able to master 3D reconstructed skin and epithelial tissues and, on the other hand, already trained professionals in the field of in vitro alternatives to be updated on current validated protocols. Check the training schedule below and fill the form available here. Please contact us for additional information at info@episkin.com or use training session form for registration.